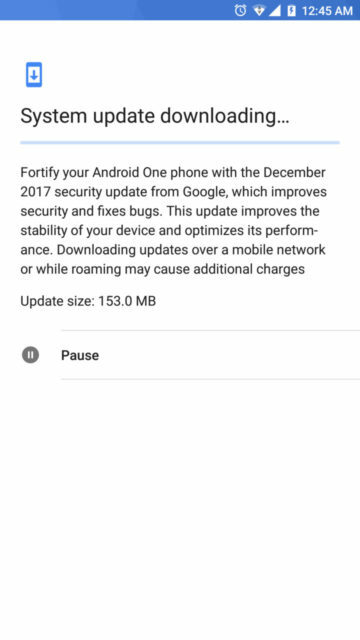 Xiaomi Mi A1 is now receiving the latest December 2017 Security Patch. Although Google just released Android 8.1 Oreo with December update, the Mi A1 update is still based on Android 7.1.1 Nougat. Not to worry because Xiaomi has already started looking for Beta testers. If you are lucky, you might just get enrolled in the Oreo Beta Program. For now, if your device is running the previous November update, then you have an opportunity to get the latest update. Not much is listed in the update log for the Mi A1 OTA download panel. Just that it brings latest Android security patches, improves the overall stability of the system, and general bug fixes here and there. However, the update does weigh a whopping 153 Mb is size. So it must be a damn good update with lots of new room for optimization. We have the OTA download and full stock firmware which can easily be installed on your Mi A1 device. If you have already enrolled into the Xiaomi Mi A1 Oreo beta program (Android 8.0) and codenamed tissot, then here is how the Oreo Beta firmware will look like. 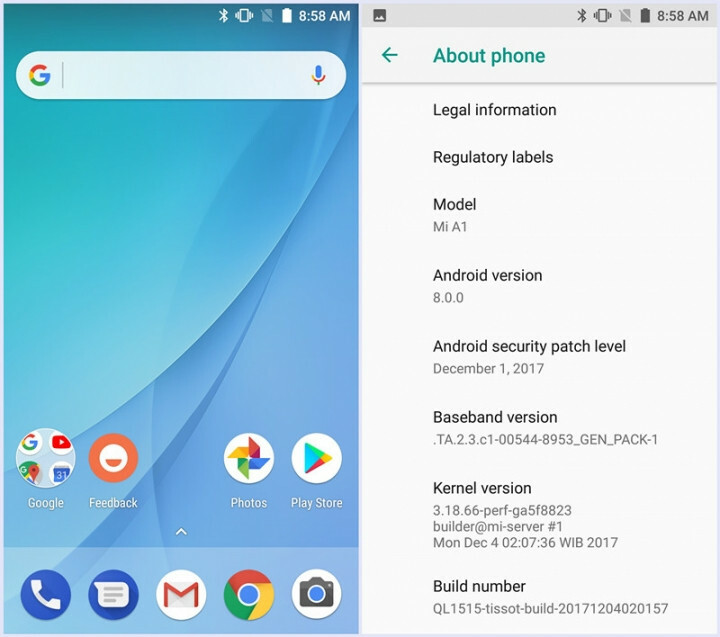 It also features the December 1, 2017, security patch with build number QL1515. How to update Xiaomi Mi A1 to December 2017 security Patch? The installation is quite simple. There are actually 2 methods to update Mi A1 to the latest firmware update. The first method is to apply OTA update by going to Settings > System Updates > and check for any OTA updates available. Alternatively, you can simply download the OTA package listed below and apply it using stock recovery or ADB sideload methods. How to flash factory image you say? Step 1: The first thing you need to do is Unlock the Bootloader on Mi A1. There is a special tool for that. You can either download the Mi Unlock miflash_unlock-en-2.3.803.10.zip tool or simply click here to unlock the bootloader. Step 2: The best way to unlock the Bootloader is via the fastboot method. Read: how to unlock bootloader and install TWRP? You do not need to install TWRP. Step 3: The last thing you will need to do is download the Mia A1 factory image, extract it and run the flash-all.bat file. Read: How to flash factory images on Android devices? Enjoy the latest update on Xiaomi Mi A1.